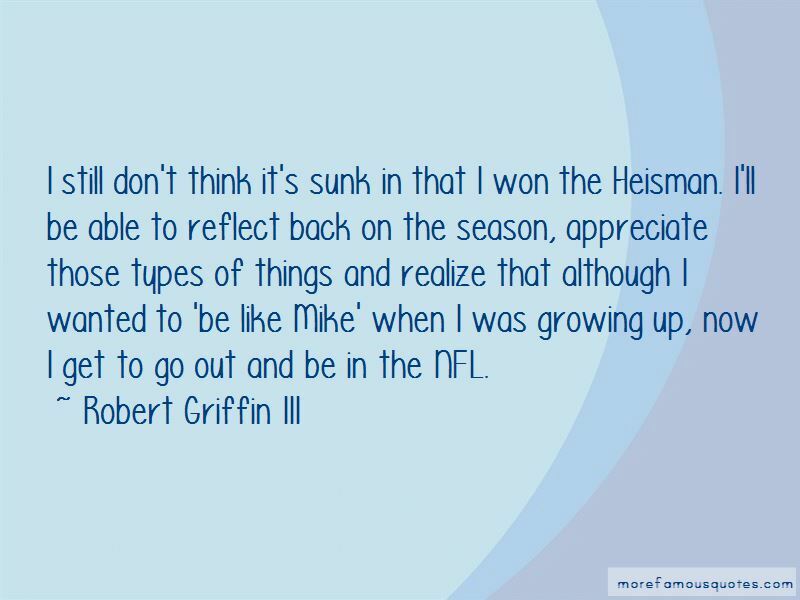 Enjoy the top 81 famous quotes, sayings and quotations by Robert Griffin III. There's far more that goes into being a professional athlete than being a college athlete. So many differences that people don't realize. It's not just about playing football and getting paid to do it. There's a lot of things that you have to deal with. The day I think about throwing the ball away at the beginning of a play, I should stop playing. 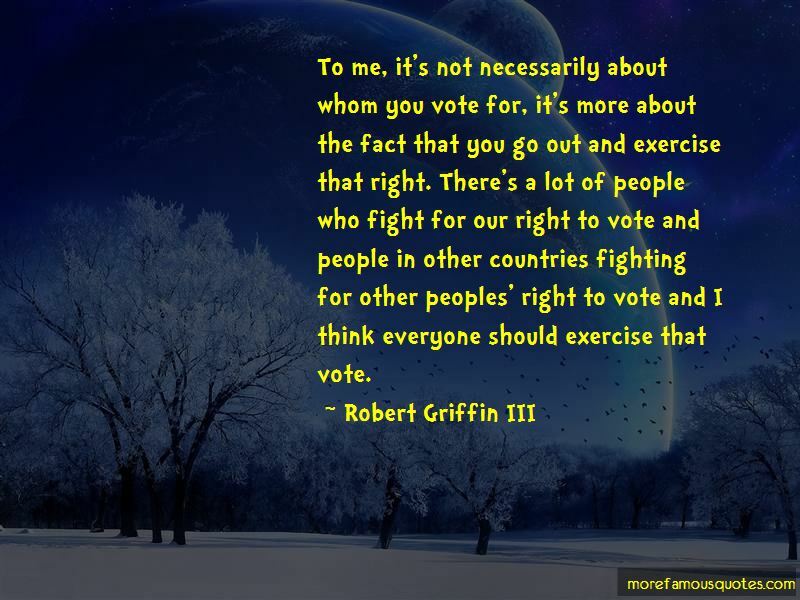 One thing my dad always told me, was he would make sure I always had what he didn't have. He couldn't play basketball because he didn't have tennis shoes - so I had five pairs of tennis shoes. I don't play too much into the color game, because I don't want to be the best African American quarterback, I want to be the best quarterback. 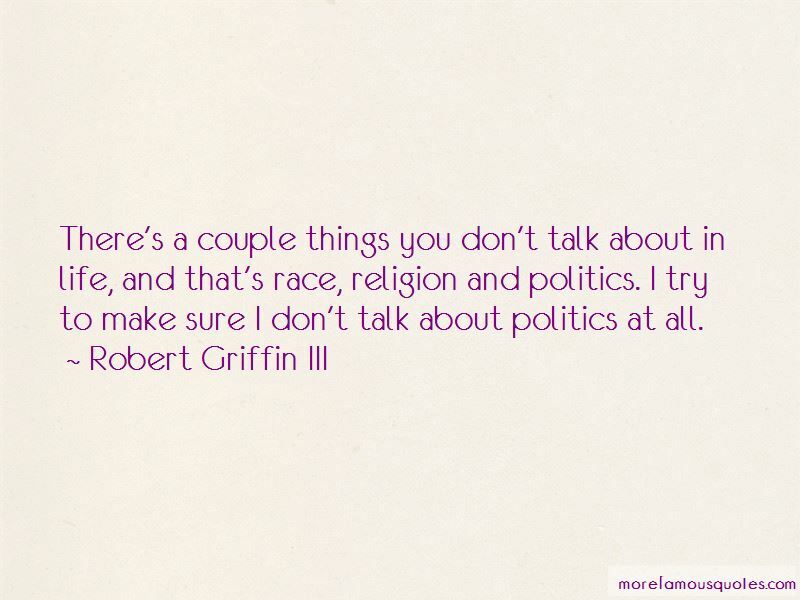 Want to see more pictures of Robert Griffin III quotes? 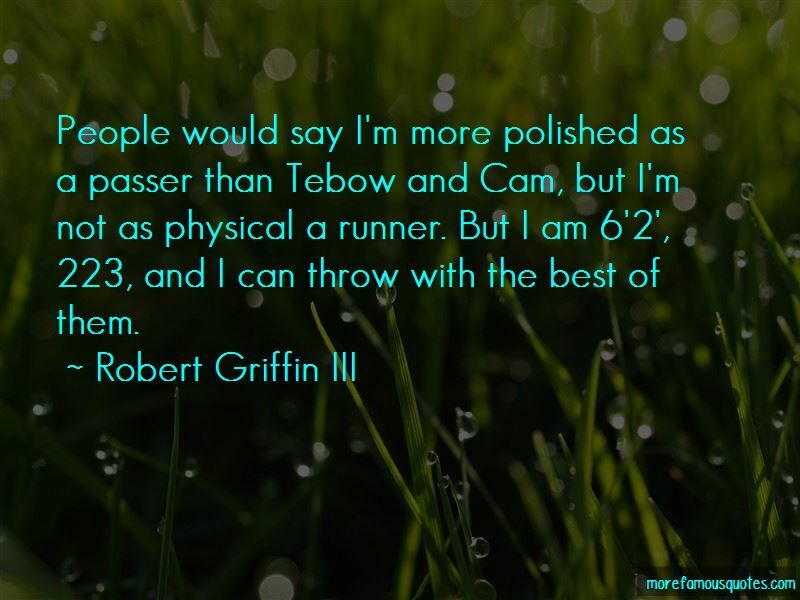 Click on image of Robert Griffin III quotes to view full size.